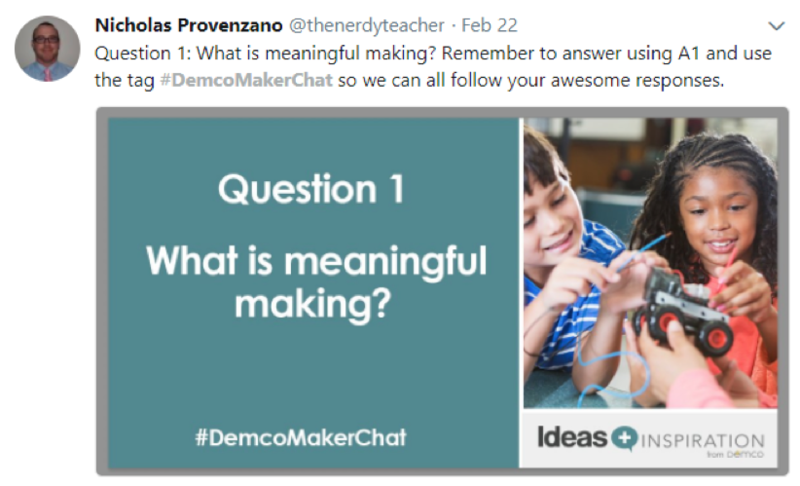 Thank you to all the creative and caring educators who took part in the first #DemcoMakerChat! 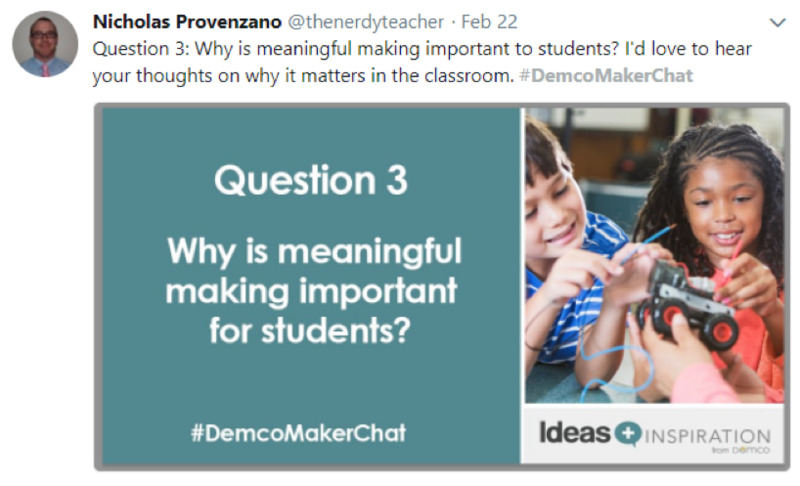 Be sure to follow #DemcoMakerChat to join us for future chats. 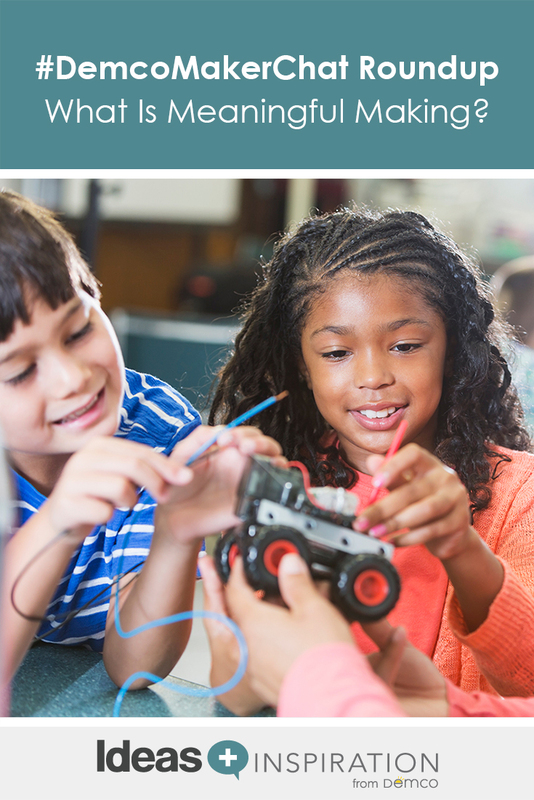 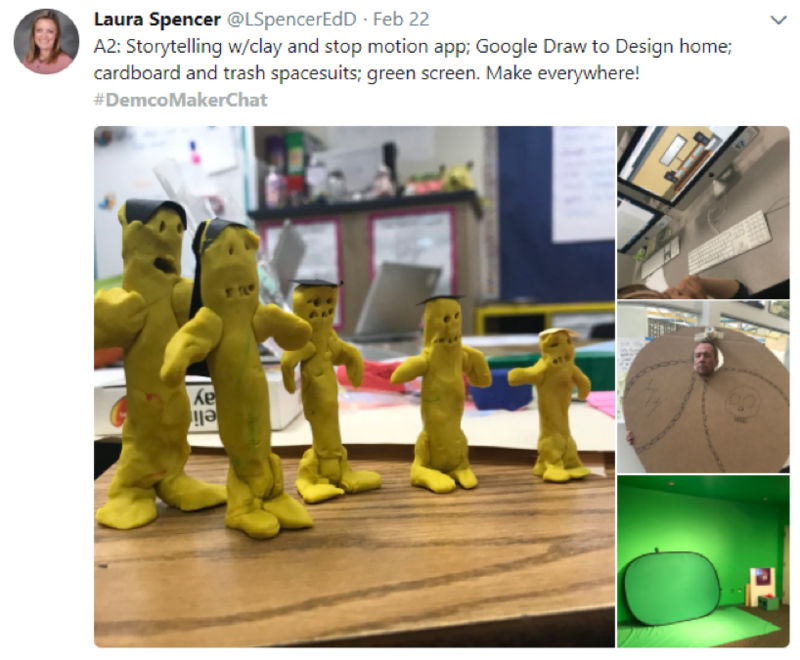 The maker movement has taken schools by storm, with creativity and design thinking skills becoming essential to a solid foundation for learning. 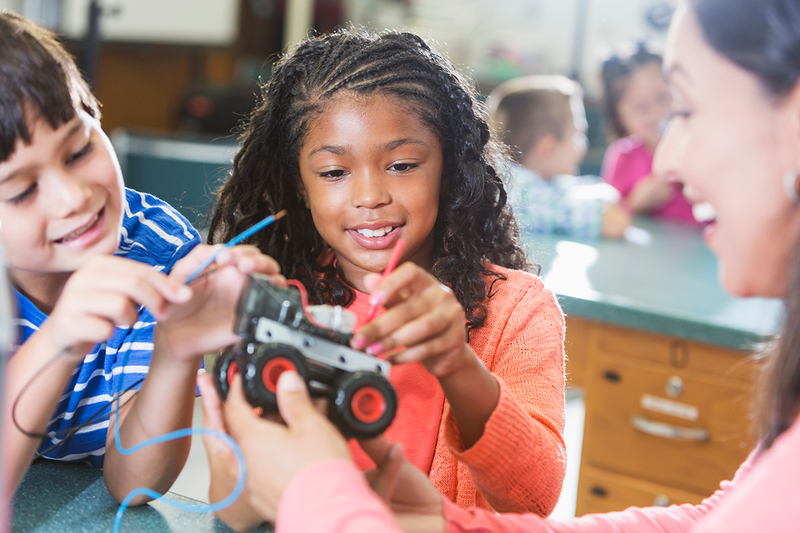 As schools implement makerspaces and integrate making into their culture, they’re finding many different ways to create meaning behind the making. 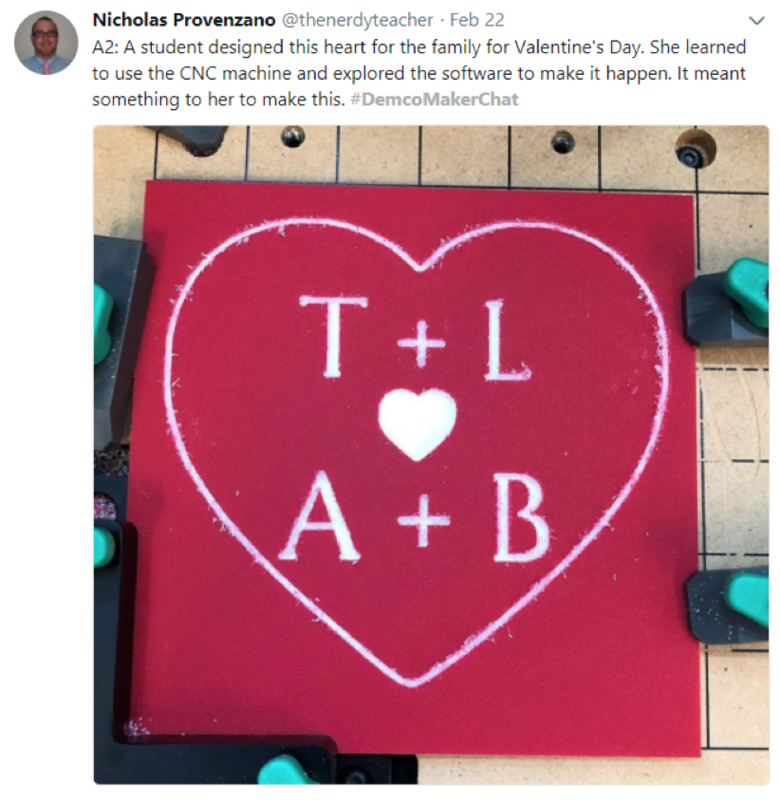 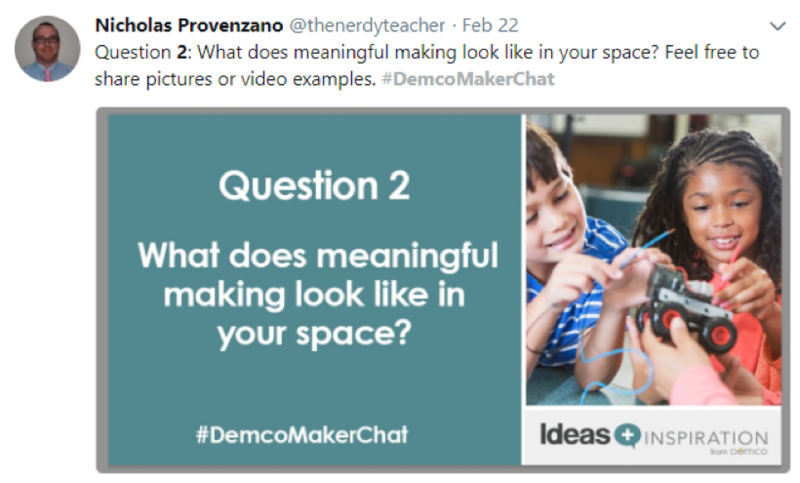 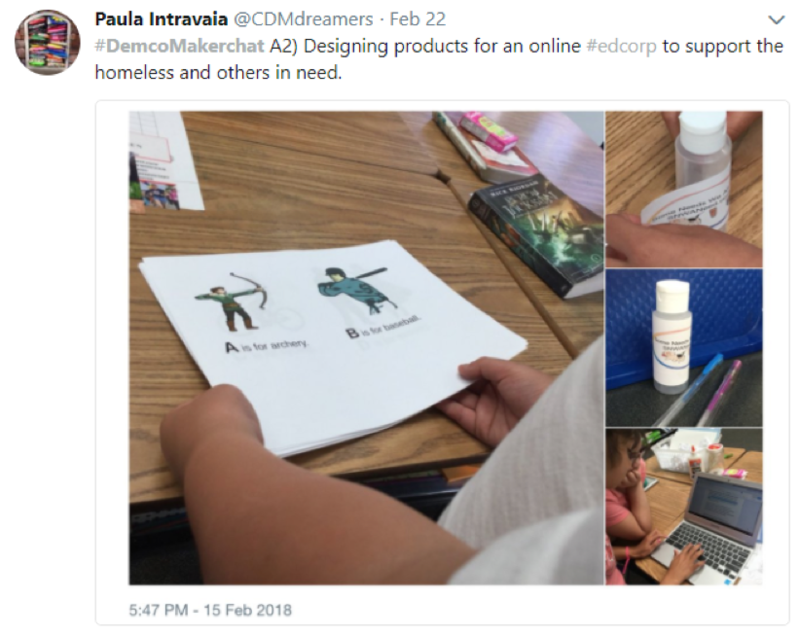 In our Feb. 22 #DemcoMakerChat, hosted by @thenerdyteacher Nicholas Provenzano, educators from around the country talked about what meaningful making means to them and shared what it looks like in their schools. 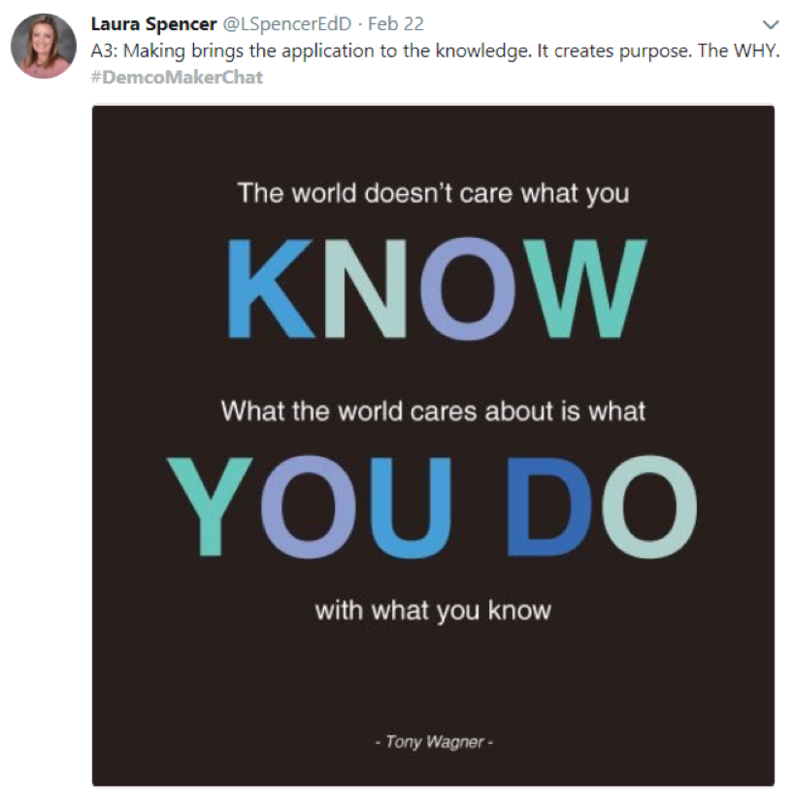 Below are some of their powerful responses.